Van Rooyen and his squad have completed two training rides on the course in preparation of the big day. “A win here is very important to us because it’s our home town event. Our sponsor, Bestmed, is nestled in Pretoria, so we really want to do well,” he said. The Tshwane Classic route presents the famous Tom Jenkins ascent 12km from the finish and it provides a sublime platform for the climbers to pile on the pressure to try and create a lead going into the city centre and past Church Square. 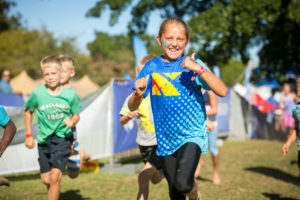 Celebrating its 10th anniversary at the Wiesenhof Wildlife Park (Stellenbosch) on Saturday, 17 November 2018, the Fedhealth IMPI Challenge #4 invites junior adventure seekers to experience Obstacle Course Racing at its best by taking on the Fedhealth IMPI Mini. Former Springbok captain Victor Matfield will join the likes of Tshwane Mayor, Solly Msimanga, and thousands of other cycling enthusiasts at the start line of the Tshwane Classic on 4 November at the Voortrekker Monument. Adventure seekers, adrenaline junkies and outdoor enthusiasts eagerly toed the line at the picturesque Van Gaalens Kaasmakerij (North West Province) on Saturday, 06 October 2018 to partake in the action of the much anticipated Fedhealth IMPI Challenge #3. 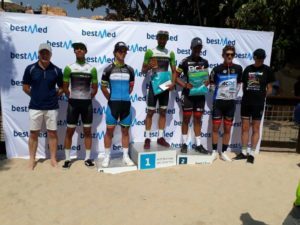 Entries for next weekend’s Bestmed Cycle4CANSA Championship, presented by Optimum Financial Services at Sun City, will close at midnight on Wednesday evening (Wednesday 15 August at 11h59).